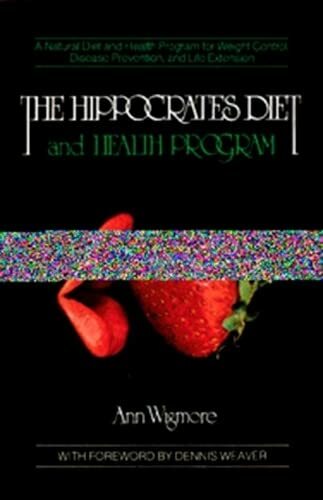 This is one of the few books out there which teaches you how to take charge of your health in a very simple approach. No matter if you need to loose weight, want to save money in the kitchen or have more serious health problems such as cancer or chronic fatigue; Ann Wigmore gives you a clear picture how to get started. Basically it's all about enzymes which metabolize your food and which are needed for every function in your body. Without enzymes there would be no life in your body. Where do you find these enzymes? They are avaiable by eating fesh organic fruits, vegetables, sprouts and nuts/seeds. After 20 years of trying diffrent approaches to become healthier, this is the most significant one I've taken. It really makes a difference. Do you ever feel tired or bloated after a meal? Try her recipes and you will feel light and energized afterwards. I can really recommend this book to everyone who wants to be healthier, happier and more loving.